Welcome to the New Affiliate Interface! Notice anything different about your affiliate account? We hope so! Just in time for the flurry of activity surrounding Q4, we are excited to introduce the latest Gen 7 interface update. 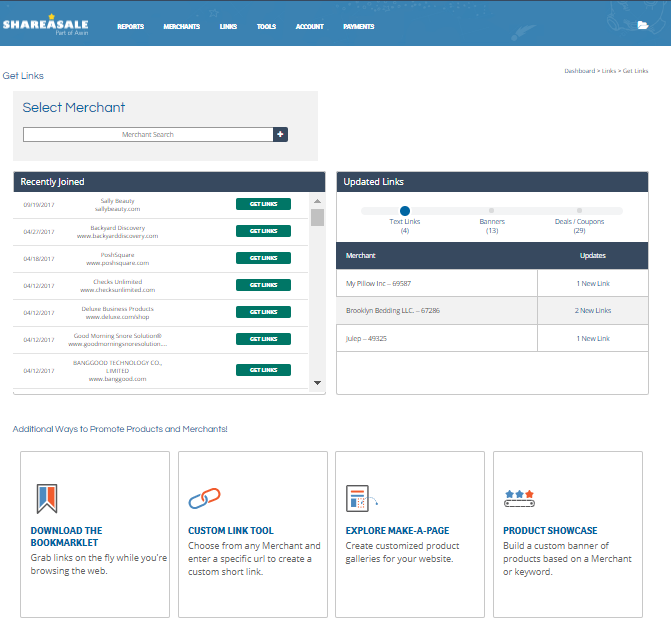 We hope this redesign will provide a more enjoyable experience while performing your daily management tasks, finding new Merchant programs, and accessing data and tools. 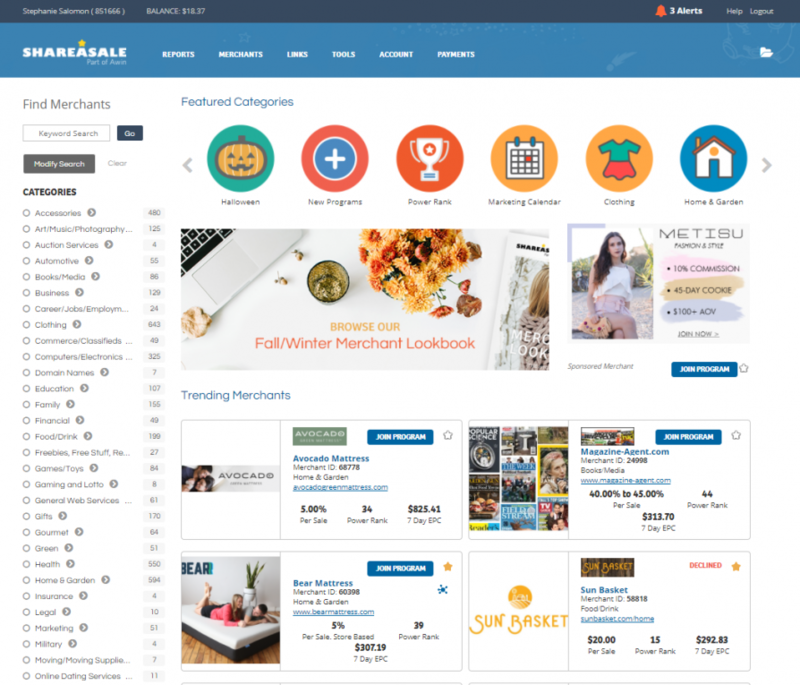 In general, your dashboard will become a “home base” for all your affiliate activity. You can view a quick snapshot of your performance in addition to activity and updates surrounding your top and trending retailers. With over 4,600 retail programs to choose from, the concept of finding the right one can be daunting! Our new and improved merchant search experience is designed to help you easily and intuitively identify and join relevant programs. The top panel of icons represent popular search options, such as New Programs to the network and Power Rank Merchants, in addition to category specific programs, such as Clothing, Home & Garden, Electronics, and more. Don’t forget to check out the Marketing Calendar so you can view merchants who offer products and services related to upcoming holidays or seasonal events. 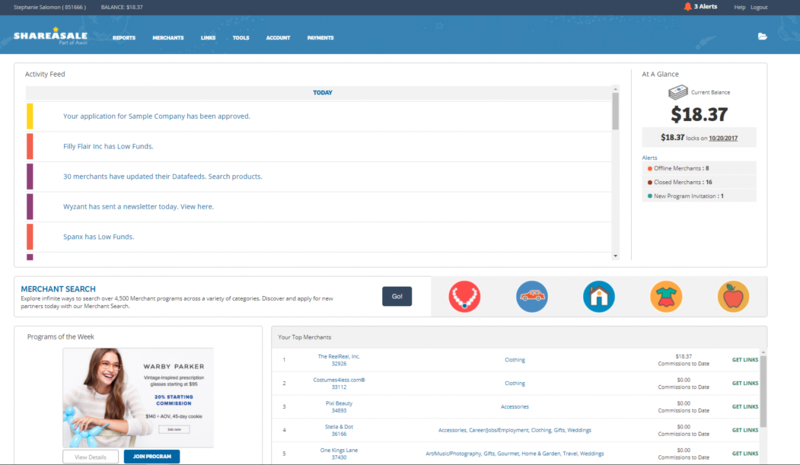 In addition to the top row of icons that represent various search categories, you will find the complete list of Merchant categories scrolling down the left side of the page. When you click into a main category (“Clothing” for example), you will discover a new feature which is the clickable sub categories. Use this drill down as another way to zero in on retailers who have products related to the category or niche of your choosing. The new and improved Merchant details will help you learn more about potential new or existing partners. Affiliates have increased transparency with data points such as Desktop vs. Mobile, date of last transaction, and average performance stats over a 7-day or 30-day window. Grabbing a link from a retailer will always be the core of all affiliate activity. We have streamlined this process to make it as easy as possible to access links and creative banners from your partners. 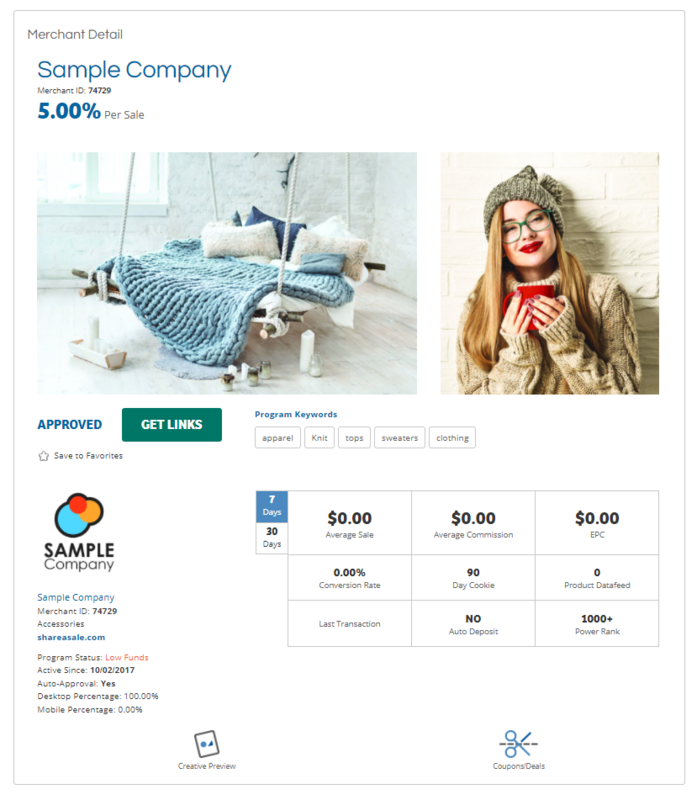 In addition to a new “Get Links” landing page, each Merchant’s “Get Links” page will clearly present options for all types of links and creatives with the help of a dynamic slider. As you switch from one link type to another, you will see all possibilites populate below. 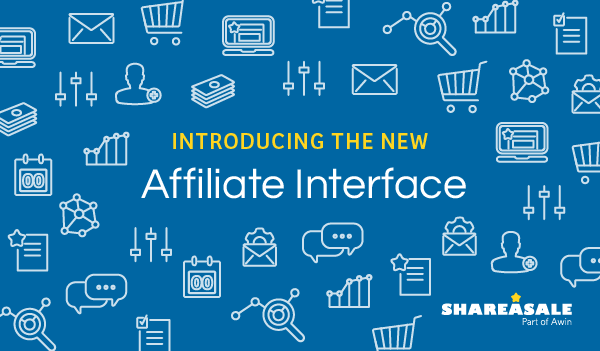 Learn more about our new interface in our next Affiliate Interface Walk through.